It is important to maintain a healthy lifestyle as we grow older with a balanced diet for being hale and hearty. Health check-up has become mandatory for seniors for every 3 months. A balanced diet will contains a good source of proteins, vitamins, antioxidants etc. Proteins constitute an integral part of the healthy eating pattern as they are endowed with plenty of amino acids. This plays a crucial role in building and repairing the muscles and bones in our body. 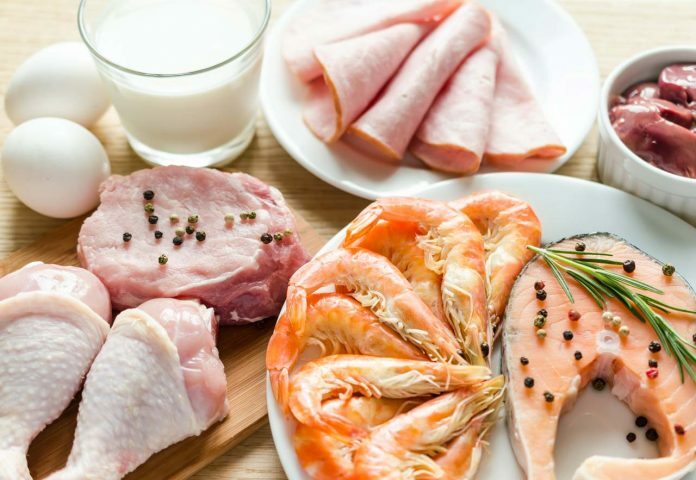 While it is important to incorporate protein-rich foods in our diets, it is equally vital to choose a variety of foods by opting for a diverse range of healthy proteins that also supply the body with other essential nutrients. That includes minerals like iron, zinc, sodium, potassium, magnesium and vitamins like Vitamin B, Vitamin C and Vitamin D. The Recommended Daily Intake (RDI) of protein for women is about 46 grams while men need around 56 grams. With regular monitoring of our vitals we shall be able to find our health status. We have home healthcare service providers with whom we can engage for regular check-ups. Eggs – These are one of the healthiest sources of protein and one of the most nutritious foods. Besides, eggs are also rich in minerals, vitamins, healthy fats, antioxidants and nutrients for the brain. Egg–whites are the purest sources of protein and one large egg contains about 6 grams of it. Eggs also prevent over-eating by giving a feeling of fullness in the stomach. Chicken Breast – This is also a popular protein source, easy to cook and has delicious taste. One roasted chicken breast approximately has 53 of protein and yet contains only 284 calories. Lean Beef – This is also a high protein source and is additionally loaded with vitamin B12, bio-available iron and other nutrients. There are 22 grams of protein in about 85 grams of cooked beef. Lean beef can be eaten by those who have high carbohydrate intake while others with low carbohydrate diet may eat fattier beef. Turkey Breast – This is similar to chicken breast as it is abundant in protein and low in both fat and calories. It is also endowed with several minerals and vitamins and is tasty.85 grams of turkey contain about 24 grams of protein and merely 146 calories. Fish – Various varieties of fish are extremely healthy for multiple reasons-it is rich in proteins, important nutrients and omega-3 fatty acids which are essential for maintaining cardiac health. Salmon – This is a common fish variety having 19 grams of protein in a serving of 85 grams. It lowers the risk of coronary heart disease by reducing the levels of cholesterol. However, it is costly compared to other protein sources. Halibut – This is a variety of white fish that acts as a rich source of lean protein. It has nearly 30 grams of protein in a fillet. Mackerel – This variety of fish is rich in proteins and omega 3 fatty acids and is usually available in supermarkets. It may be consumed with or without dressings. Tuna – This is a popular fish that is low in calories and fats but has high amounts of proteins and omega-3 fats. One cup of tuna (around 154 grams) contains 39 grams of protein. It can be used in salads, sandwiches and other snack items. Shrimp – This seafood is again highly beneficial as it is fortified with proteins, vitamin B12 and selenium and yet low in calorific value. 85 grams serving of shrimp contains about 18 grams of protein. Spirulina – This is a form of bacteria that grows in salty and fresh waters. It has loads of proteins and a variety of nutrients. It may be consumed in the powdered form. Bison Meat – This is one of the highest sources of protein which acts as lean meat. It contains lesser fat per serving than beef. Pork – This happens to be another good protein source and may be eaten as pork roasts or tenderloin. Pork also contains thiamine, phosphorous and vitamin B6 which help in easily metabolising of fats and carbohydrates in the body. However, it is advisable to avoid consumption of processed pork like bacon. Bone Broth – This is another tasty protein source with a host of health benefits as it contains gelatine for easing the digestive process and collagen for maintaining healthy bones. Besides the above, non-vegetarians can choose a plethora of vegan protein sources including milk, cottage cheese, legumes, quinoa, almonds, guava, oats, greek yogurt and lentils. Proteins are necessarily needed by seniors to have strong bones and muscles. It is the one element which can build and repair tissues. Aging bodies find it difficult to process proteins. Therefore, it is vital to have a protein-rich food diet. It significantly lowers high blood pressure.Most individuals with hypertension are recommended to have such a diet. This would make sure all your hormones, enzymes and body chemicals are maintained at the right level. So incorporate sufficient protein intake in every meal for happy and healthy living.